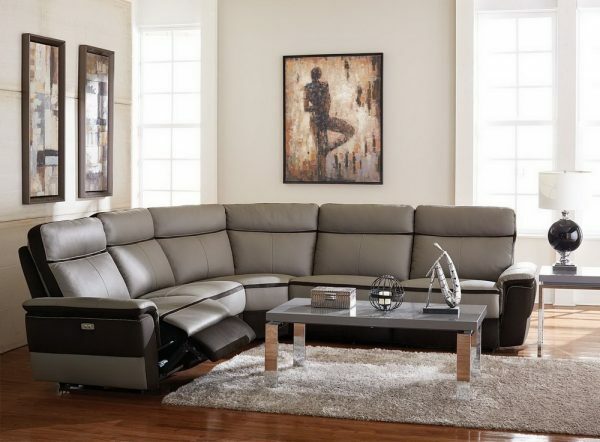 Providing ample seating for your friends and family is the Laertes collection. 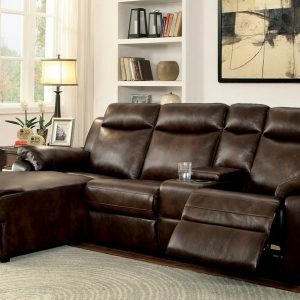 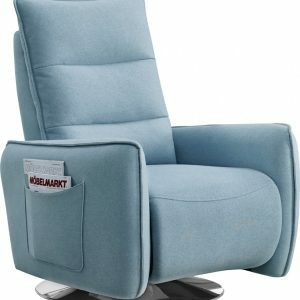 The Classic shape is book-ended by power recliners that ease into the prone position with the touch of a button. 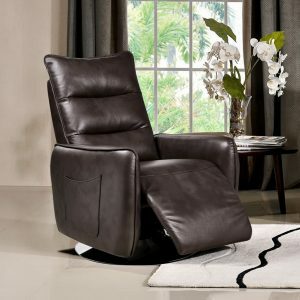 Taupe grey top grain leather provides a gentle touch while darker tone fabric lends stark contrast.